(UPDATED RECIPE) Bamija (also known as bamia, bamya, baminja, even bavija) is a meat and okra soup/ sauce recipe. Counting as one of the area’s best okra recipes, bamija calls for okra to be cooked in water and lemon juice, then combined with meat tenderized soft by a long and deep simmer. By the way, okra is a delicacy Cleopatra swore by. Okra… what’s in a name? There is a food naming habit in the Balkans where many dishes are called whatever the main ingredient is called. 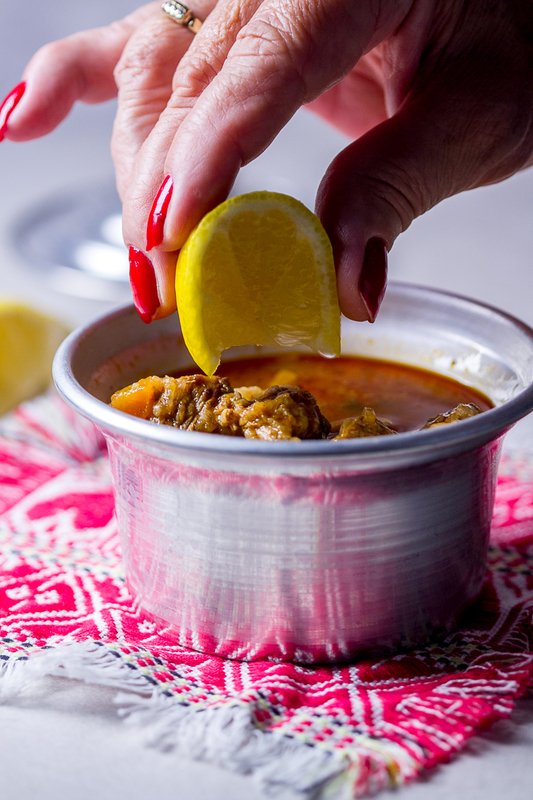 Grah or pasulj – aka the bean – is also the name for the popular bean stew. 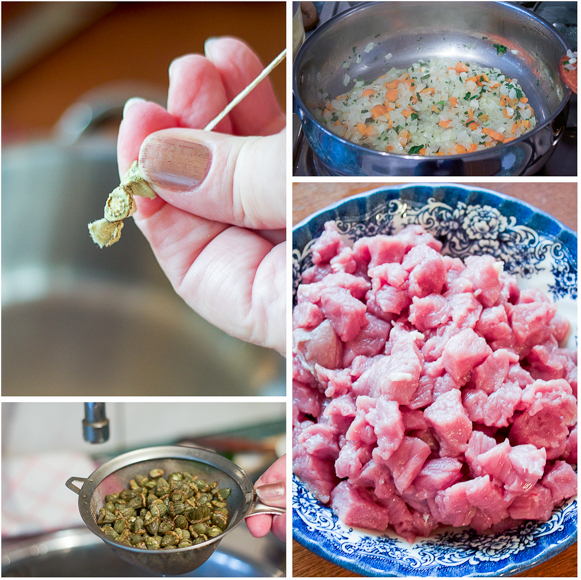 Kupus – aka the cabbage – seconds as the cabbage stew. Balkan okra sauce (stew or soup) of today follows the same philosophy. It’s called simply bamija. Bamija isn’t one of the well-known regional okra recipes. Instead, it’s a delicacy usually found on Eid or Ramadan menus. Remainder of the year there seems to exist an okra amnesia. For the life of me I don’t know why. The dish follows basic sauce principles and even has the unusual vegetable factor. By any measuring standards it should be a favorite and often repeated meal. If you’re wondering what other okra recipes are in demand – do you remember the bey’s okra soup we made before? In fact we’ve even done another, more traditional bey’s soup later on and filmed it. Well, that particular lush chicken okra soup – accented with an array of vegetables and bound together with a thickener – is the most often occurring regional okra dish. Unlike the overly rich gumbo – a supreme dish in its own way – today’s recipe is an easier-on-the-digestive-system intro to okra. In taste richness, it’s falls somewhere between bey’s okra soup and gumbo. It’s flavorful. It’s filling and a standalone dish. It’s also perfect over rice or mashed potatoes. I like it best by itself. I dip large slices of bread into it. What does okra look like? Okra is sold fresh or frozen in 2-3 inch pods. In the Balkans, especially Bosnia, you’ll find dried okra pods on a string (see photos below). One okra string is enough for a dish of 4-5 servings, and is equal to about 1/2 pound of fresh okra. You may wonder why it’s sold on a string. Fresh okra is picked when ripe. Most of it is then frozen. You can find it in bags in the freezer section of most grocery stores. I’m impartial to the dry okra. It’s the seemingly magical process of seed-like dry dots of nearly nothing becoming big and plump and incredibly flavorful that gives it a special kind of charm. What does okra taste like? The taste vaguely pulls toward asparagus with tones of green beans. When you bite into it, there is grit and freshness underneath. In a manner of an avocado, once you bite into okra you’ll form a distinct memory of its taste and always be able to place it afterwards. Okra sauce is perfect with greasy meat or fattier chunks too. That sometimes moves it into type of dishes called jahnija. Preparation of okra in the Balkans is most similar to that of bosnian veal sauce, except okra sauce is simmered for a longer period of time. The longer you simmer more tender the meat, and better the sauce. So simmer away. Unlike the veal sauce more water – or broth – is added to okra throughout simmering. The sauce is more fluid and not as thick. 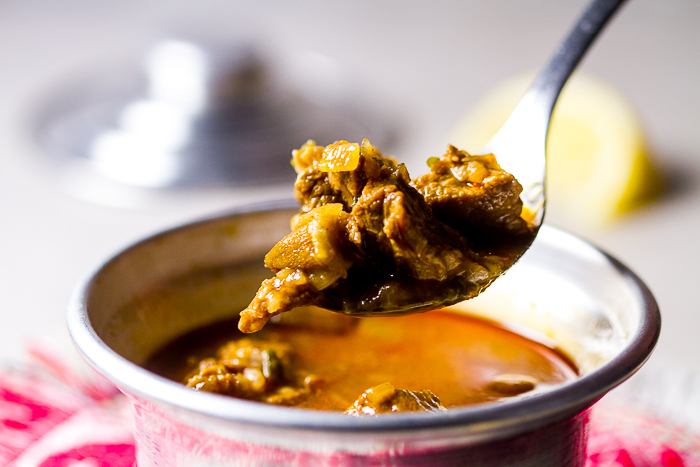 Further addition of broth can make this okra meat sauce into an okra meat soup. Don’t overdo it with broth or water. Because okra, especially the dry kind, takes up a lot of fluid and expands, it acts as sort of its own thickener. Thus for an okra soup/ sauce, no other thickener is necessary. But if you add too much water, it will dilute this tasty okra into a translucent mess. Okra soup is supposed to be on the thicker, heartier side. I know it may be confusing to you as I keep referring to this as an okra soup and an okra sauce recipe. It’s exactly the water factor that divides one from the other. Otherwise, the process is same. Don’t be apprehensive about the slime okra has a reputation for. There is an easy solution for how to cook okra without slime for both dry and fresh/ frozen okra. If using dry okra, we bring it to boil in acidic water (water accented with lemon juice or vinegar). Then we bring the temp down and leave it in for 30 minutes before simmering it with veal. If using fresh okra, we soak the okra pods in cold water with lemon juice or vinegar for 30 minutes before preparation. What are the okra health benefits? finally, in very large quantities okra serves as a laxative. Take a look at a more comprehensive list of okra health benefits here. For okra nutrition values, check out the recipe. Cleopatra swore by okra’s properties to reduce skin redness, and keep its elasticity and stay smooth. And beys used it because of its aphrodisiac properties. It is said that okra was placed in bey’s soup to help with the libido so that they had energy to satisfy all ladies in their harems. Gratifying mushroom and veal sauce. 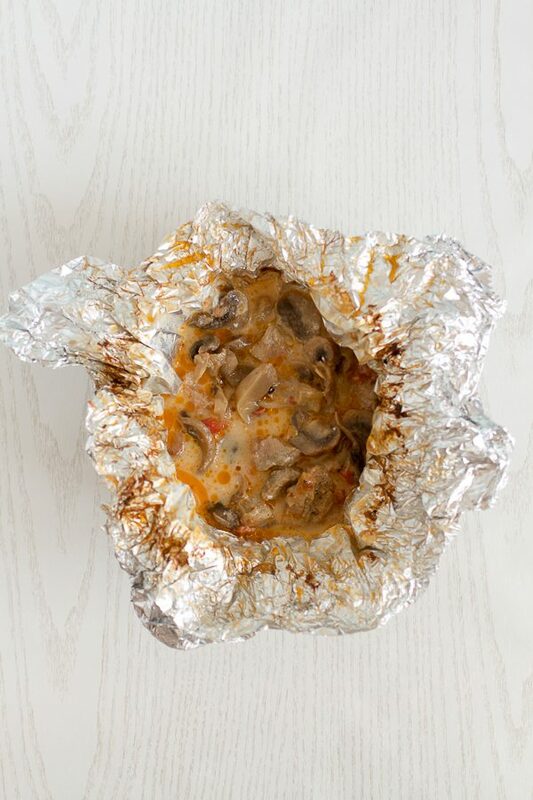 First simmered with tomatoes, peppers and onions, garnished with a drip of heavy cream, and then baked in foil (parchment paper) using a water bath. FUN FACT: hadžija originally was a word for a Balkan Muslim who’s completed the hajj pilgrimage. Back in the day, you had to have major dough to afford the hajj. Thus hadžija became slang for someone who’s doing well for themselves. 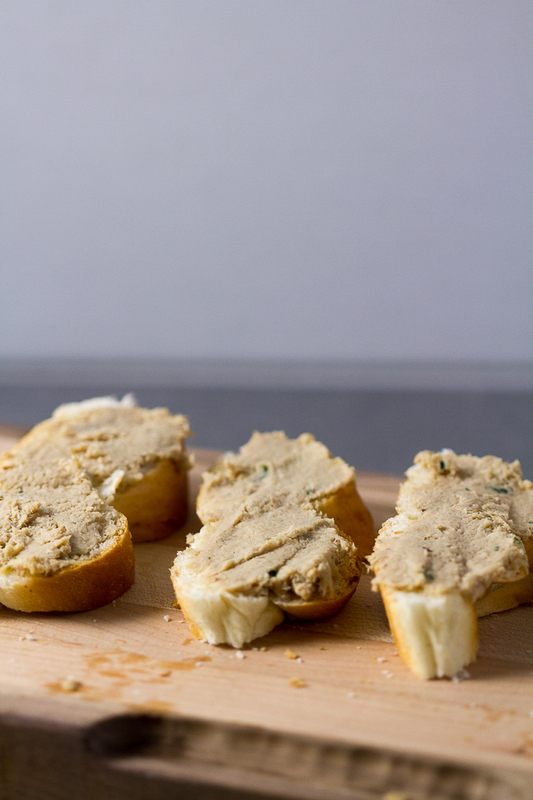 Not exactly on the okra soup level excellent, however veal pâté is a smooth spread that is both an appetizer and a side dish. Rich meat flavor is sweetened and simmered in onions, then additionally softened by blending with mayonnaise and sour cream. It’s not a surprise this decadent spread is everyone’s breakfast favorite. TAKE NOTE: You know how McNuggets taste divine, but are made from crushed animal insides? Industrial made pâté is the same way. So skip the store version and make it yourself. 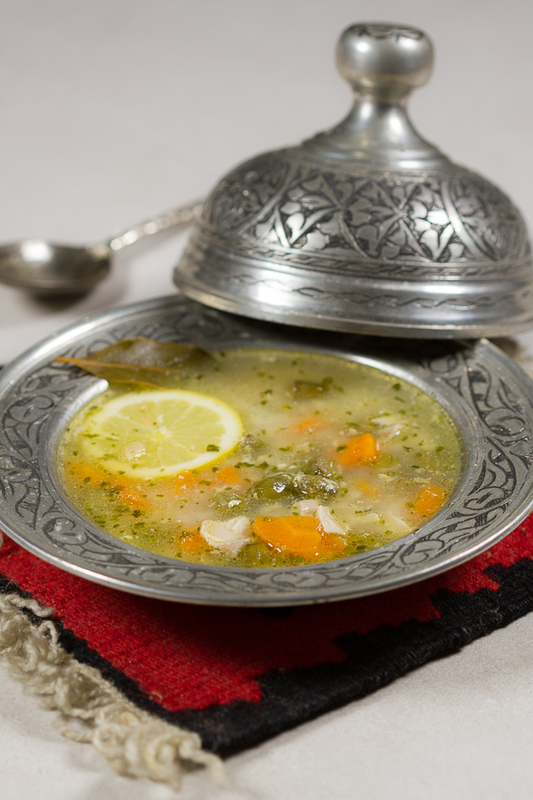 As we haven’t mentioned it enough, Bey’s soup is a dish you’ll have a hard time forgetting. 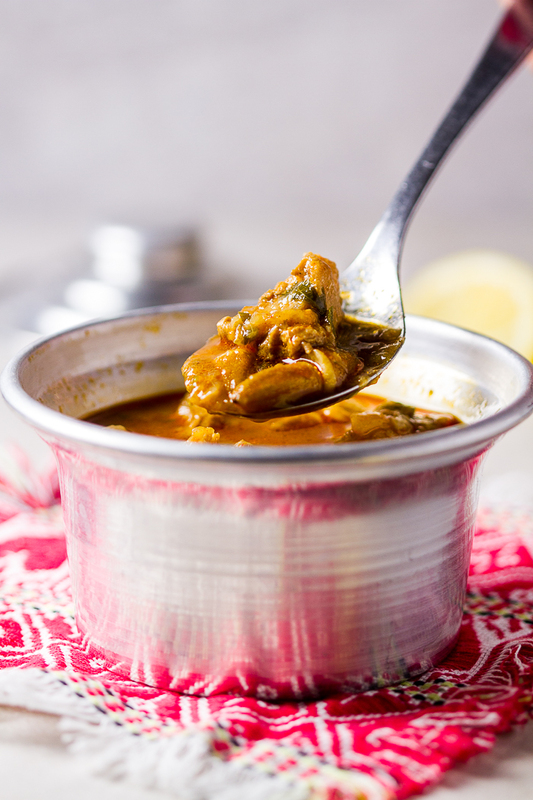 Luckily this okra soup delicacy – simmered in a chicken based broth, finished off with a simple roux, then sprinkled with lemon juice as the last touch – is super easy to make for your consumption. FUN FACT: Bey’s soup is an easy way to start experimenting with okra. 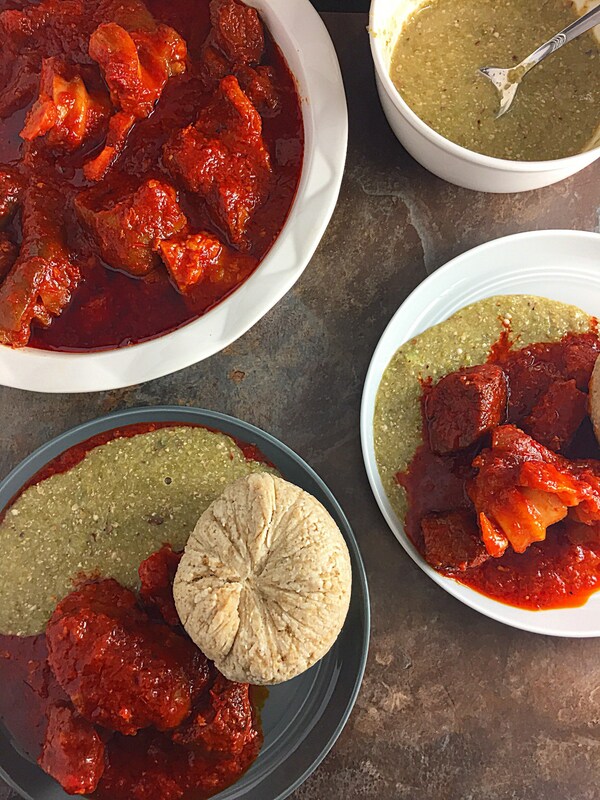 I found a fantastic plain okro recipe by the lovely Chichi over at My Diaspora Kitchen a food blog she created to share Nigerian (and African) cuisine with the rest of the world. Plain okra is a way of preparing okra by blending and boiling it, and then combining it with different stews. Chichi combined this one with a palm oil based stew. Just look at how vibrant that dish is! It makes me want to reach my spoon through the monitor and grab some. FUN FACT: This dish also calls for some of use of iru. 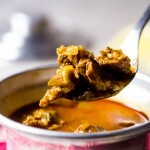 Iru is a type of fermented locust beans. It’s a seasoning used for delicacies throughout many cultures. Although strong by itself, when added to soups and stews iru takes them from good to ultra-ultra-ultra good. 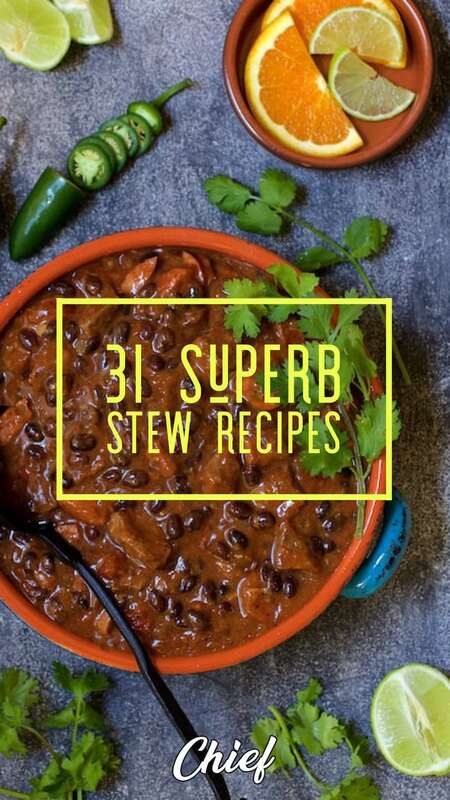 And if you’re the type that likes to pick and choose from many, then these two list of superb stew recipes is right up your alley! …because the winter is coming! Counting as one of the area’s best okra recipes, this stew is made by cooking okra in water and lemon juice, then combining it with meat that’s been tenderized soft by a long and deep simmer. You will love it! (If using dried okra.) Take okra off the thread and place in a medium pan filled with water and lemon juice (or vinegar). Bring to boil on medium. Boil for 30 minutes adding a little water if necessary to keep the level even and prevent burning. Drain and wash, then set aside. (If using fresh okra.) Soak okra in lemon juice (or vinegar) for 30 minutes. Wash, drain and dice, then set aside. (Parallel to cooking okra in lemon. )In a deep skillet or pot, heat oil and butter on high. 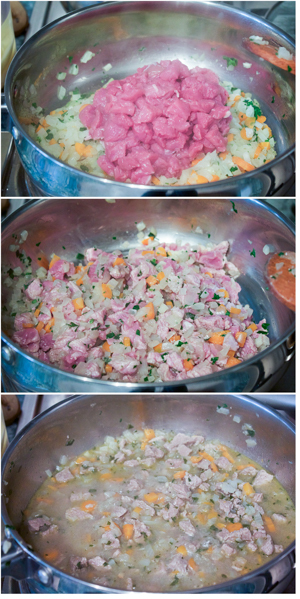 Add onion, carrots, garlic and parsley. Simmer on medium high until onion caramelizes. Add okra into the sauce. Add salt and pepper and stir well. Continue simmering with occasional stirring for an additional 15 minutes. Stir in paprika 5 minutes before the sauce is finished. Serve alone or with a side of mashed potatoes, rice, couscous, or pasta. 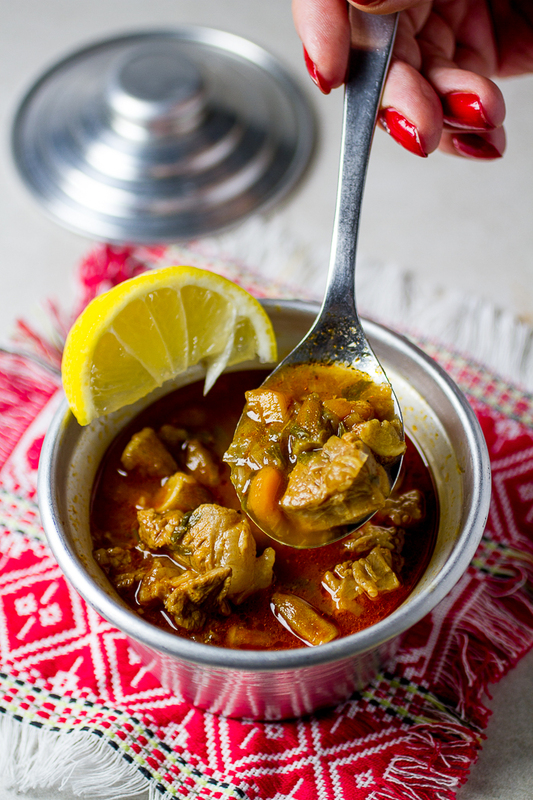 This recipe gives me the confidence to try okra in corba. My family are from Uskoplje, Bosnia but they never ate okra. Saying that, with me being born in Australia, I have seen okra at the markets. I lived in Dubrovnik for 9 years and I rarely saw okra on the menu or at the markets. So I’m going to give this a go next time I see okra at the store. Thanks for sharing this exciting recipe. Thank you Maria! Yours is a colorful and wonderful family history. I bet you really enjoyed Dubrovnik and the area. I hope you like bamija. It’s definitely a taste you’ll remember. If you remember to, stop by to say how it turned out.